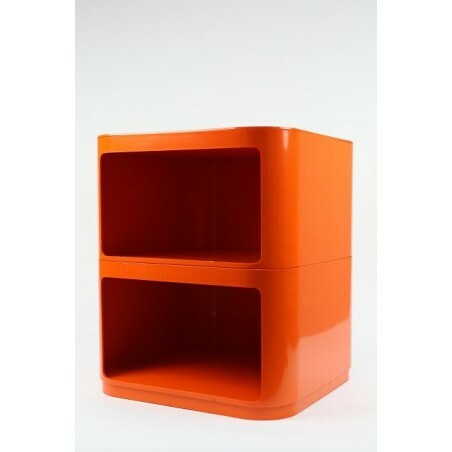 Design stacking cabinet designed in 1967 by Anna Castelli Ferrieri for Kartell, Italy. The orange color is no longer in production. 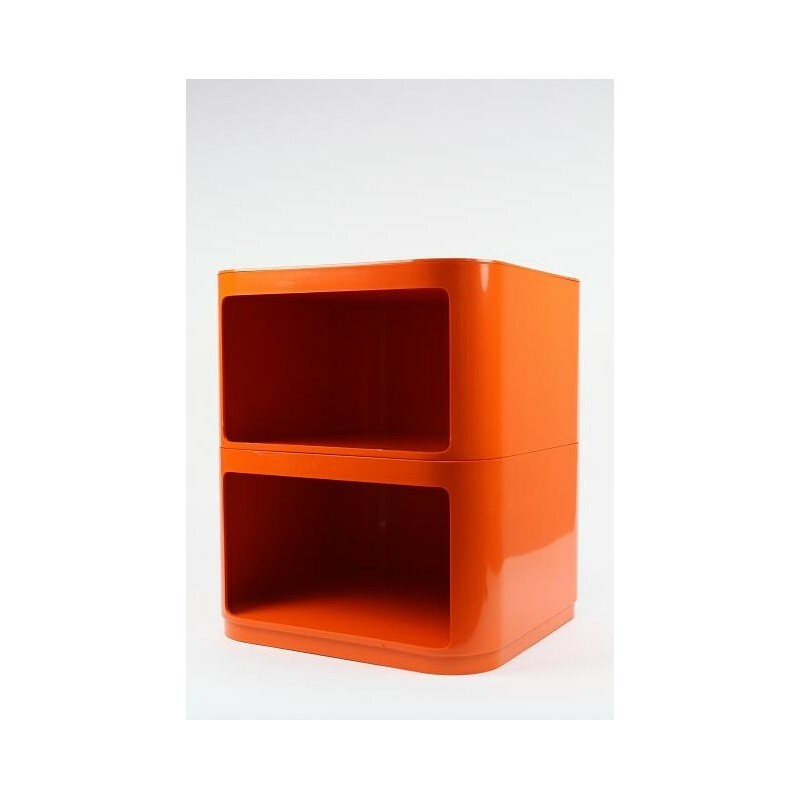 The cabinet consists of 3 parts, 2 cabinet parts and 1 top. The condition is good (no discoloration or damage). The size is 44.5 cm high and 38 cm wide.